Let’s face it, the fur industry hasn’t been what it was decades ago. The decline in an American “fur boom” through the 1990’s has coincidentally coincided with an increase in wildlife conflict across North America; especially with one wild canid in particular. The coyote has managed to outlast and outwit mankind’s old-world attempts at eradication and broad-scale control. It has also been quite the topic of discussion from coast to coast over the last few years. Few critters can lay claim to the adaptability and resiliency the coyote has cast upon rural and urban America. For this licensed trapper, the activity of fur trapping has always been about the basics. Time outside, immersed in nature, exploring the less traveled wooded haunts of New England and seeking a broader understanding of nature’s grand cycles. My initial draw to the activity resided more with self reliance than “striking it rich” from a bounty of dried pelts. I started trapping at a time when the monetary market for fur was low. Because of this, most of my trapping career saw a majority of the pelts I procured shipped to the tannery for private use or sale; turned into homemade hats, gloves, wall-hangers, and bed spreads. Heck, I even had a fella pay me top dollar for two tanned beaver pelts, which he proudly turned into a pair of moccasins. Word traveled, and it wasn’t long before local deer hunters started dropping off their winter coyote kills for me to process along with my trapline catches - which I shipped out with my own tanning orders (for a premium of course). Its a tradition that carries on today, although most of the hunters who leave their coyotes with me now aren’t expecting them back - they just want to know the animal’s remains are being properly utilized. I have to admit, after reading this article, they may start getting second thoughts. Last year I had a few “hunter donated” coyote skins fully processed and ready to be shipped out. It was a rough winter, and the bills were piling up. I figured the $15-$20 dollars I’d get for those coyote skins would be better than nothing, and I finally caved to the notion of selling those pelts to the local fur buyer instead of shipping them off to the tannery. I’d shipped a few beaver pelts to the auction houses in Canada throughout the years, but this time the fur buyer insisted I sell directly to him instead. He took some measurements of the pelts, ran his fingers through the course hair and dense under-fur, and started scribbling numbers down on a notepad. After some short number-crunching, the folded wad of cash he handed over was far from what I expected. The funds from those skins was put to good use and managed to chip away a modest chunk of my winter debts. 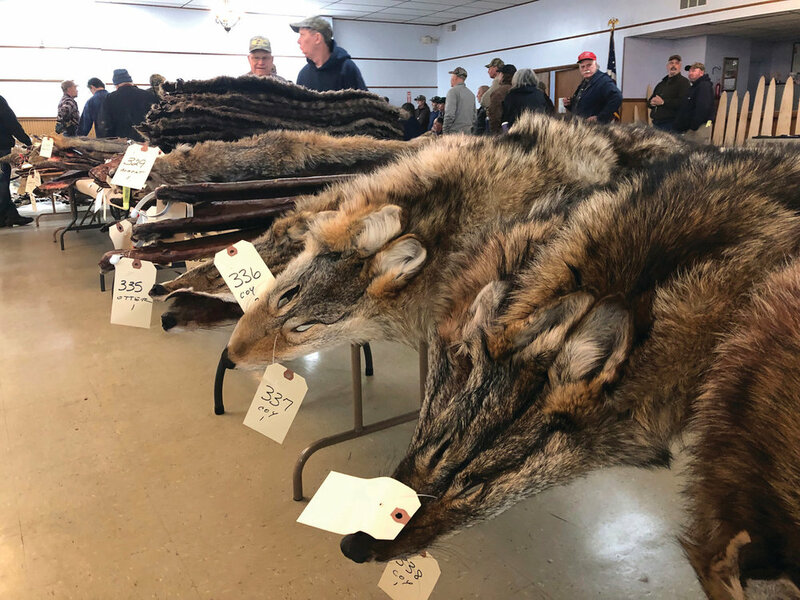 The trapping community heard undertones of coyote fur being in demand early on this season, but it wasn’t until the past few months that the mainstream media really started to catch on. 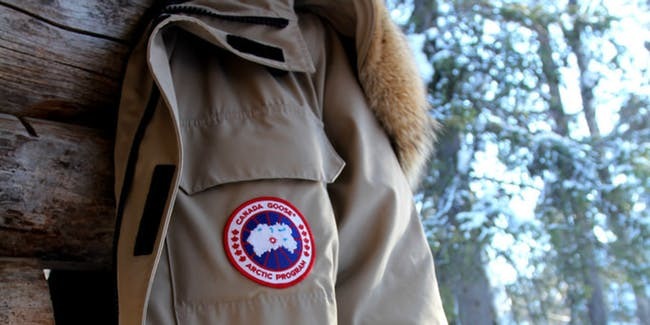 In 2013, model Kate Upton graced the cover of Sports Illustrated Magazine dawned in a coyote-fur trimmed jacket, and despite four hard years of alternate campaigning from groups like PETA, those fur trimmed jackets produced by Canada Goose Holdings Inc. are now currently selling around the globe for upwards of $1600 bucks. Turns out persistence pays off - and the tidal wave of media coverage has finally crested on the topic. The good publicity doesn’t arrive without the bad, however. The uptick in popularity of fur-trimmed garments has revived international campaigning from animal rights activists determined to snuff out a regulated trapping culture at any and all cost. Down-jackets and publicity over coyote fur trimmed coats aren’t the only thing fueling a trapping revival. In recent years, a surge in new hunting recruitment efforts have flooded the more popular deer and elk hunting camps; bringing with them a newly publicized curiosity in what I’ve dubbed “backyard predator management” programs. As a trapper education and certification instructor for the state of New Hampshire, its nearly impossible for me to discuss modern trapping without passionate inquires about how the average deer hunter can incorporate a coyote trapline into their hunting endeavors. State trapping associations had better take note - if you want to welcome “new blood” from the hunting community to your trapping ranks, incorporate a coyote trapping demonstration into your gatherings; and publicize it heavily! The growing popularity in coyote trapping is also fueled by the animal’s keen ability to adapt to urban sprawl. From the wildernesses of Maine to the recesses within scrubby patches of abandoned house lots in New Jersey, the coyote breeds, evolves, and survives. As the human populous mows down more and more crucial habitat to make way for strip malls, packed apartment complexes, and touristy mountain-side skiing villages, the coyote is proliferating in the darkened asphalt alleyways of society. So much so that many longline fur trappers are trading the rural backwoods haunts for nuisance control work on the outskirts of suburbia. Many in the commercial wildlife control industry, once content with evicting bats or squirrels from soffit systems and wrangling raccoons out of chimneys, are now implementing predator management plans to take advantage of the coyote’s growing presence. While some “urban folks” may take umbrage with the regulated fur trapping of pine martens and river otters, few of those same people are resistant to lethal control of wild canids when a cunning coyote is spotted trotting along the neighborhood bus stop. Being in the wildlife control industry, I find myself having to talk many people “off the ledge” with regard to the coyote’s mere presence and the “kill ‘em all” mentality that ensues with a mob-like fury. There will always be polar extremes when it comes to the ol’ brush wolf. The reality is that various segments of society attach different values to coyotes; with wildlife management professionals in place to balance public safety with a healthier ecosystem. While no one is capable of swaying the opinions of the so-called “PETA crowd”, its important for hunters and trappers alike to capitalize on a new trapping revival and potential “fur boom”. Outdoors men and women should continue to bear in mind that there’s a broad base of the general public who does not hunt or trap, wear fur, or who aren’t regularly exposed to these activities outside of what they read on the internet. Trappers especially would be best served to take full advantage of the coyote’s current popularity, and rather than fan the flames of a “vanity-based” ideology, turn the tables to show the non-trapping public the real reasons for promoting fur usage - wildlife management, biodiversity, and most important in this case, the sustainable use of fur. Sustainability is a popular topic today with regard to the future of the human race and our environment. With all that wasted excess plastic floating around in our lakes, rivers, and oceans the usage of a natural renewable material like animal fur should be promoted as a welcomed reprieve. Heck, today’s wild-fur trade could easily be regarded as an environmental success story - depending on who you talk to. Removed from the days of frivolous cull for market hunting now stands an ethical, conserved and regulated activity emitting a plethora of ecological benefits to biodiversity and natural resource conservation. Don’t let anyone fool you - modern trapping is a heavily regulated activity, and fur is green. Granted, I’m not about to spend $1,000 bucks on a winter coat, but then again, I’m also a skilled trapper with access to my own “goods”. Without interest, an activity no longer garners support. Without support, an activity such as regulated trapping will surely slip into the dustbin of history - with or without the added pressures of activists. Suffice to say, North America’s “brush wolf” may very well be the catalyst for catapulting the activity of regulated trapping into the living-rooms of a modern-day non-trapping populous.